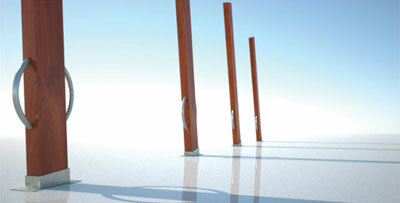 Something as utilitarian as a bike stand has inspired designers, artists, and various competitions. The recent winner of the Gateway Bikestand Challenge in Toronto is Justin Rosette with what looks like a docking berth for Double-O Seven’s speedboat. Other design submissions include Expression and Urban Relic. Dig that one, but not sure a cyclist would know that’s a rack. 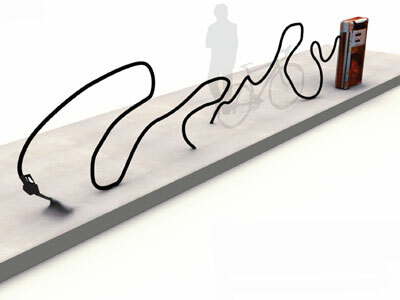 A fav is the secure bike rack from Design Against Crime.